Google releases source code for developers to use real-time video and voice chat functionality in their Web applications. Google hopes third-party developers will use the voice and video engines to make chat applications that can run straight off from within a browser. Global IP Solutions created WebRTC-based mobile clients for Android, Apple’s iPhone and Windows Mobile, while Ericsson Labs made a videoconference prototype using the technology as well. Open sourcing WebRTC repeats a similar move Google did after acquiring video compression provider On2 Technologies in 2010, where the search giant later released On2′s VP8 video codec as open source to give a royalty-free alternative to the widely used H.264 standard. Google works with other browser developers, including Mozilla and Opera, in hopes that they will support the technology in their own browsers. 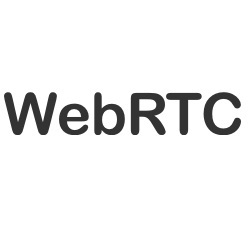 The US company also joins IETF (Internet Engineering Task Force) and W3C (World Wide Web Consortium) projects to build real-time communication Web standards since WebRTC uses W3C’s Web Applications 1.0 API. The source code is under a royalty-free BSD (Berkeley Software Distribution)-style license.